First, a disclaimer. I am not, nor have I ever been an impulsive shopper. I do not buy on a whim. I do not take a full day to peruse the malls and fling shopping bags about like Vivian Ward in Pretty Woman. Long story short. Meet Zeus-Clyde. It was us or the shelter. Really? How could we say no? And yes, yes that does make us a three-dog household. We’re tapping out now. No more pets. 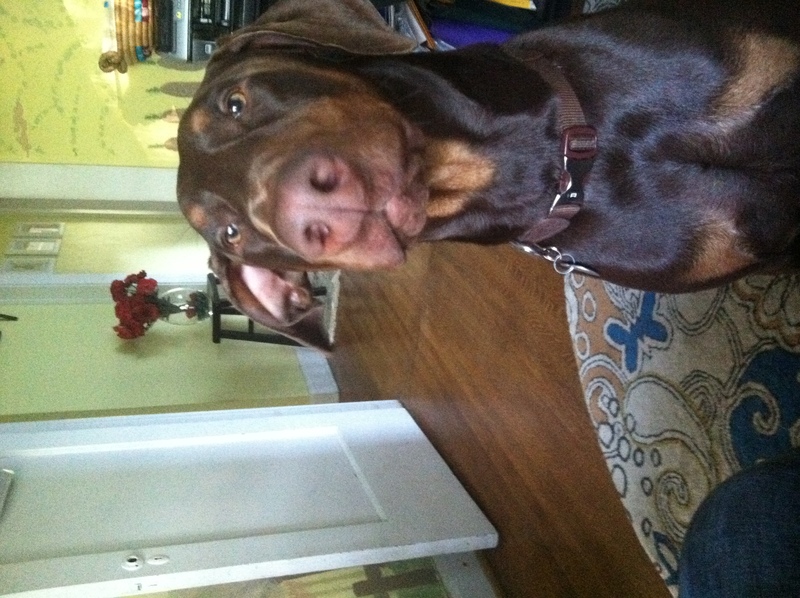 For those of you fellow dog/doberman owners, yes, the diva of a female is tolerating the goofy boy. He, of course, adores her and begs for her attention. She obliges on occasion. Llama, the social guy that he is, seems to be overjoyed to have a fellow boy to romp around with. We suspect he also enjoys herding the new guy about the yard and feeling like the big dog he envisions himself to be. Lastly, I have to share the grand finale of our urban garden, drum roll please……. SWEET POTATOES! Who knew? 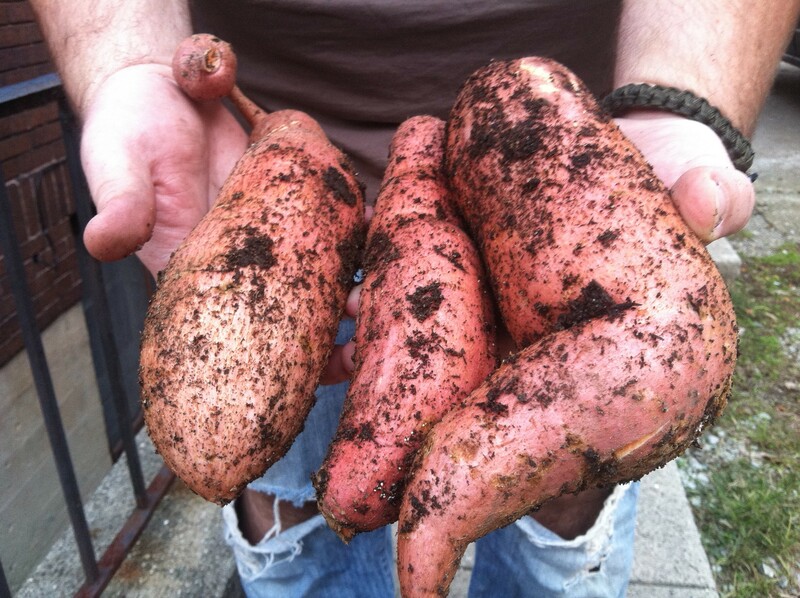 We can grow some pretty hearty sweet potatoes (Check out the one with the weird orb-thing!) We would have more than these three, but apparently the pups enjoy digging them up and eating them… note to self for next year – doggie fence around garden. What a sweetie!!!!! He’s the cutest. Good luck with your newest addition!